Welcome. Here is a brief history from Wikpedia. The full article is here. In 1904 Andries Gaastra opened a shop in Heerenveen Holland, selling clocks and small farm machinery. 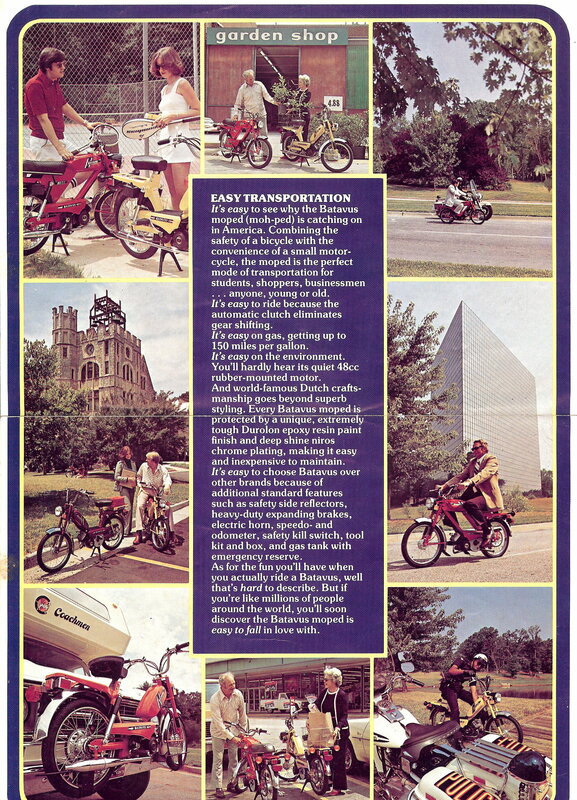 Within two years, he was selling bicycles. Soon, he began making and selling is own bicycles under the Batavus brand. By 1917 Batavus had taken over a large bicycle factory. 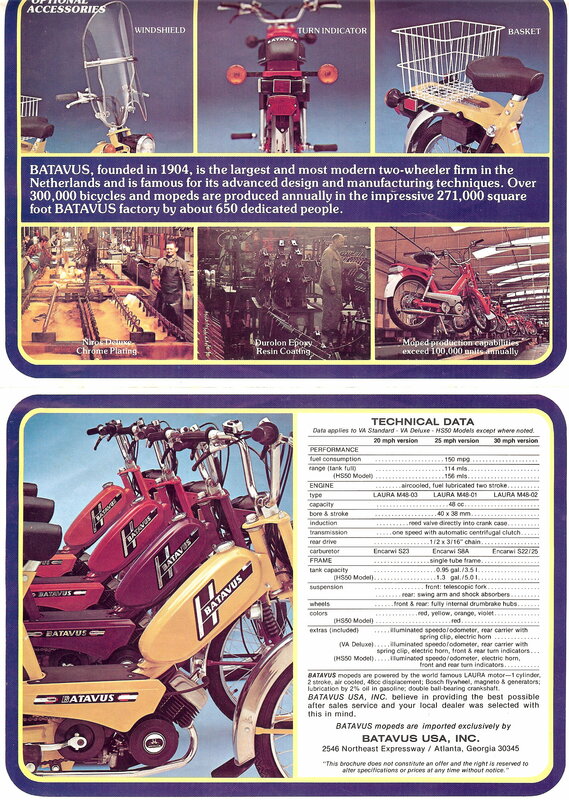 In the 1930’s they diversified to produce carrier tricycles, motorcycles, and ice skates. World War II saw the temporary shutdown of the factory. 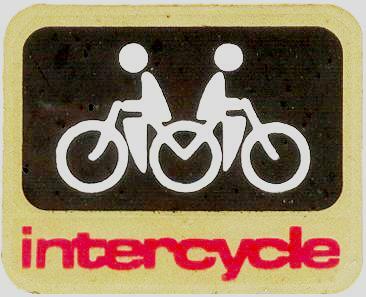 Business resumed in 1945 when the war ended and demand for bicycles increased. 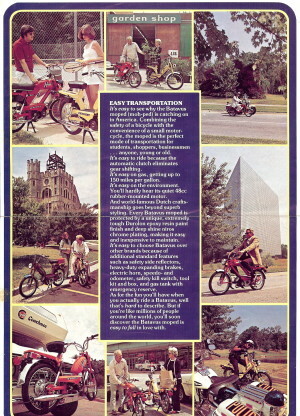 The company invested in a new factory with modern assembly lines, which brought it to the forefront of bike manufacturing. 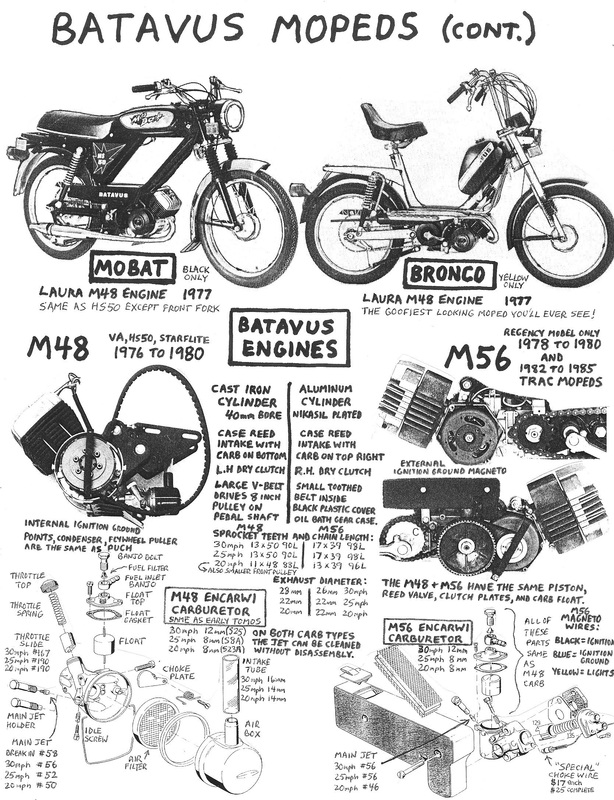 In 1948, Batavus was one of the first to develop and manufacture its own moped. 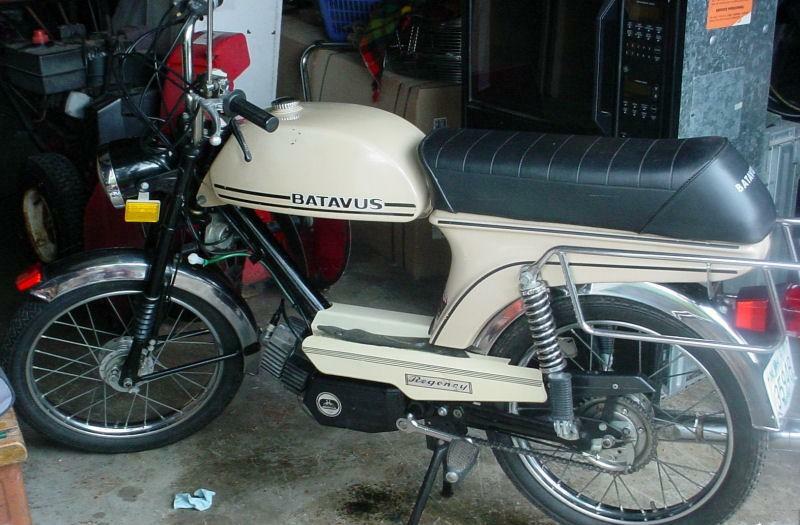 In 1969, Batavus acquired the bicycle and motorcycle production of another Dutch company, Magneet. 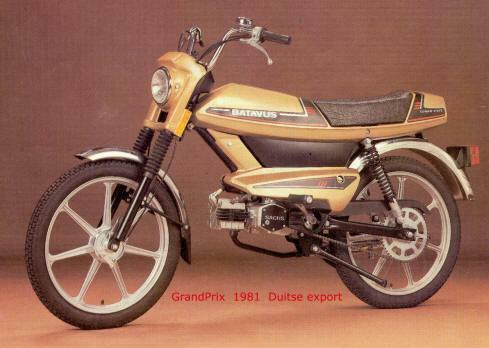 Then in 1970 they joined the Dutch Laura group, which includes Laura Motoren BV. 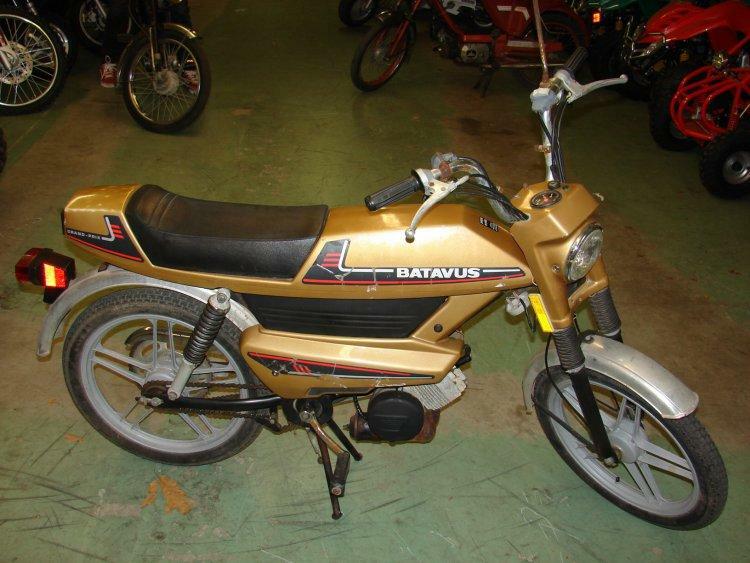 Their name became Batavus Intercycle. 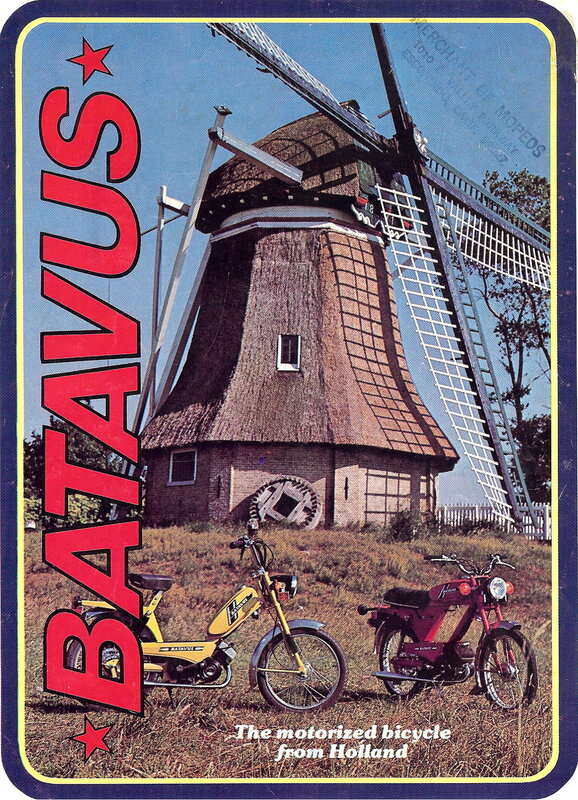 By the late 1970’s Batavus Intercycle was the largest producer of bicycles and mopeds in Holland. 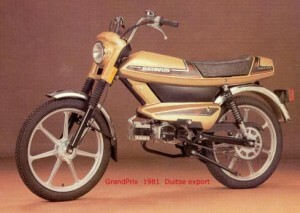 The company’s 350,000 sq ft Heerenveen plant employed 700, to produce 70,000 mopeds and 250,000 bicycles a year. 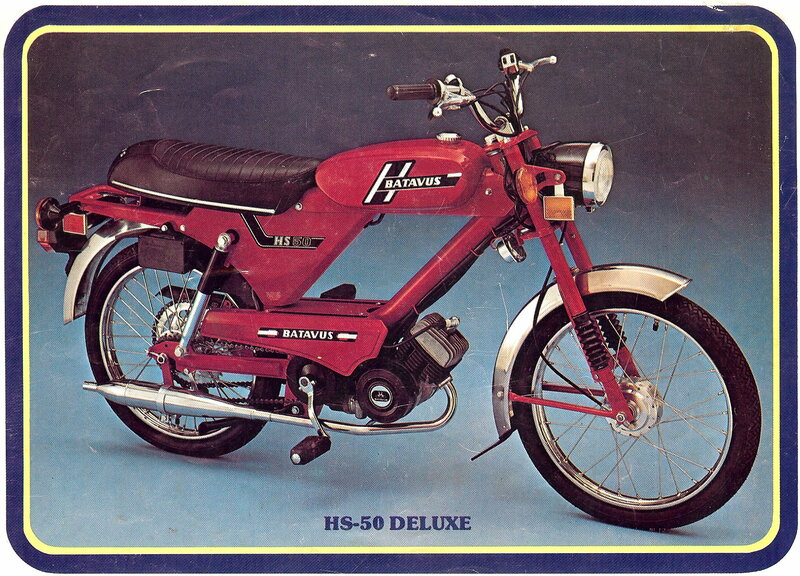 55 percent of its production was for export, 45 percent for the Netherlands, which had more than two million mopeds in 1977. 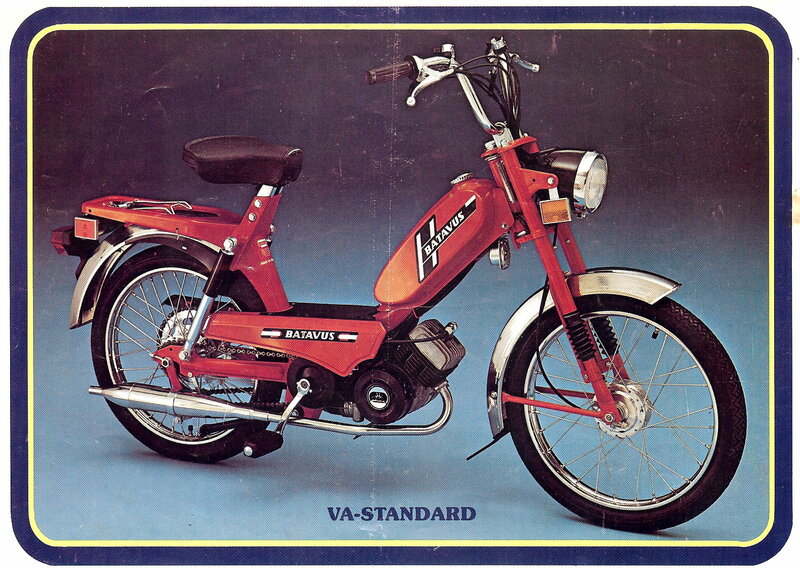 US models: From about 1973 to 1975 only a few hundred were sold. 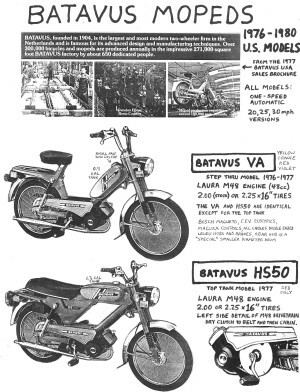 But from 1976-83 thousands of Batavus mopeds were sold in the USA, when US laws welcomed mopeds. 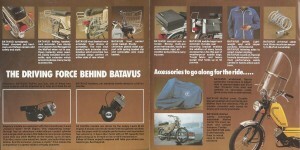 Batavus USA Inc was the importer/distributor, at 2546 NE Expressway Atlanta GA 30345. 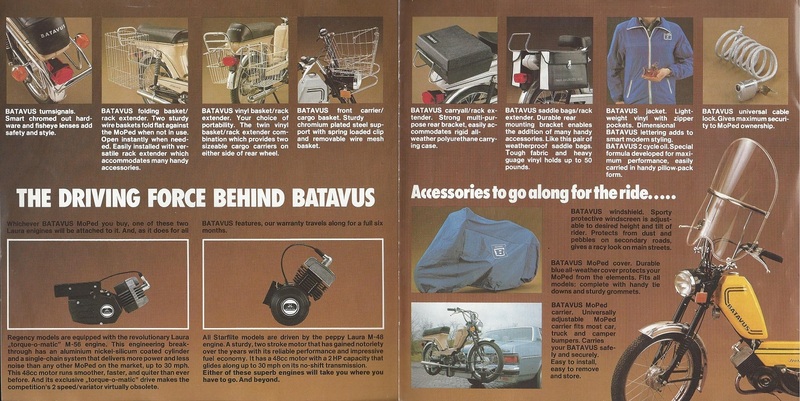 After 1980, Batavus Bikeways Inc, at 3061 Kingston Ct #A, Marietta GA 30067 was the importer/distributor. 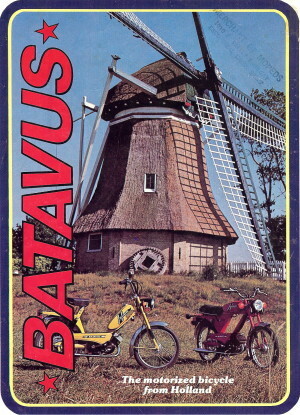 The Batavus USA logo is from their parts price list of 1981. 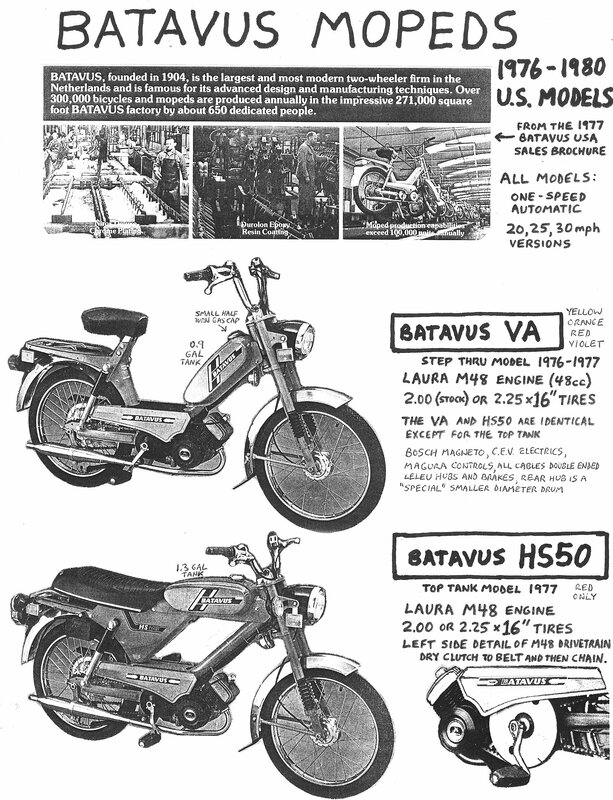 These early Batavus mopeds had for original equipment, a Magura right control and a Domino left control. 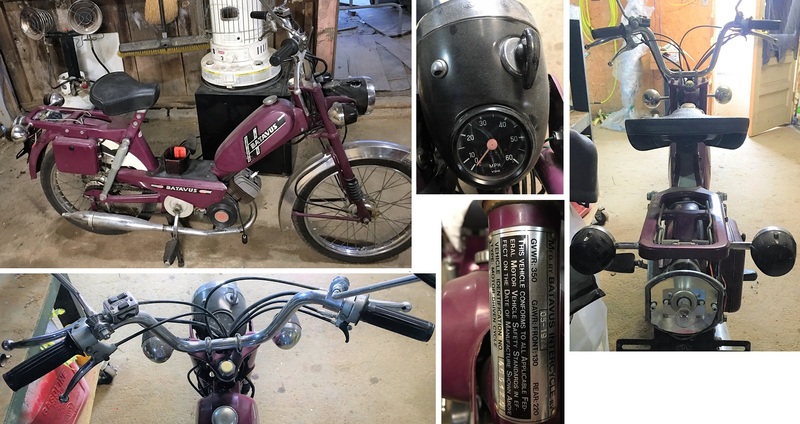 The left hand levers were chrome, while the right lever was aluminum. Weird. is on frame below seat. 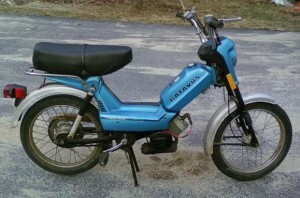 Says 20, 25, or 30mph. 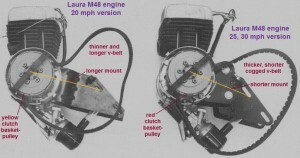 Laura M48 versions, left 20mph, right 25 and 30. The “silent” mount (25 & 30) has rubber cushions. 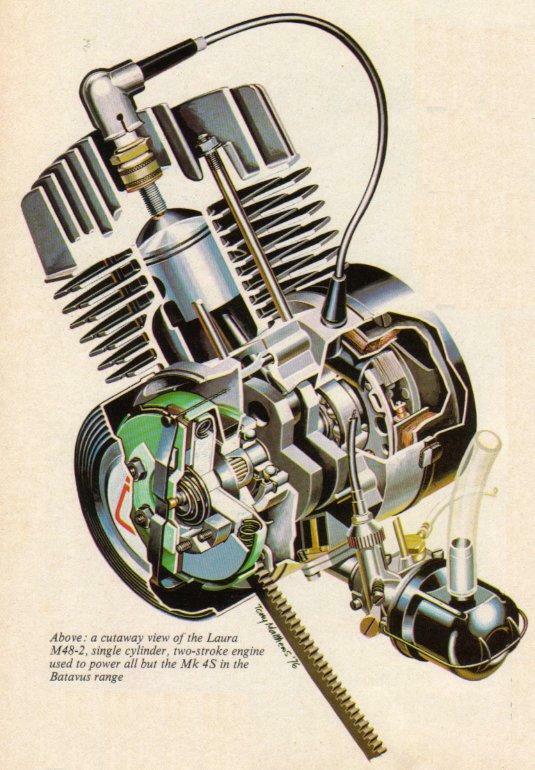 To upgrade a 25 mph to 30, you have to change the carburetor assembly, head, sprocket and exhaust. To upgrade a 20 mph, you have to change the “whole” engine, carburetor, exhaust and sprockets. The M48-03 (20 mph) version parts are made to not interchange, so you can’t upgrade easily. 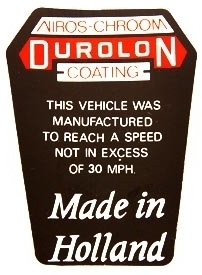 The clutch hub with smaller front pulley is painted golden yellow and uses a thinner and longer belt, so you can’t put a 30mph clutch hub, painted brick red (the belt would slip because the sides don’t touch). 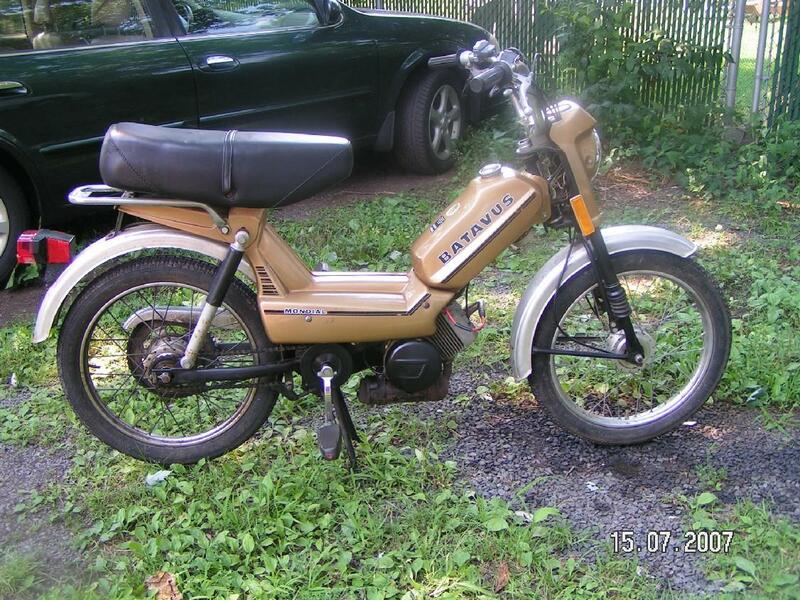 From a distance you can tell a 30mph version by the extra think 28mm exhaust header. 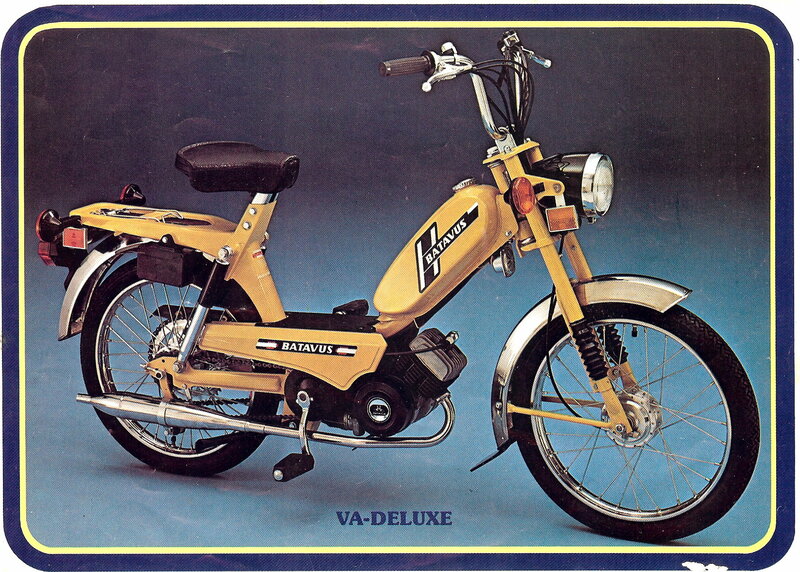 From a distance you can tell a 20mph version by the yellow clutch and thin long belt. You are currently browsing the archives for the Batavus Parts category.